A few random things that make me happy, complete with links, proving that I am not snarky and cynical ALL the time, and possibly also proving that I’m a bit of a big dork. Colin Firth. I love Colin Firth. I like that my job has me conversing with non-Americans very often, because it makes me use proper English. Like the word “shall”. I like dogwood trees. They bust all out with their pretty little white flowers, always the first trees to realize it’s springtime – and they ALWAYS get pounded by some giant storm and lose all their flowers while all the other trees are sitting their with their little curled-up buds thinking, “that’ll show you, dummy.” But every year they’re back. 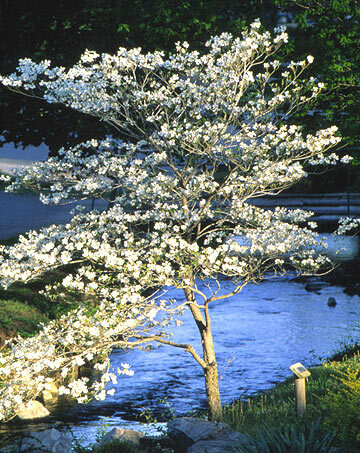 Dogwoods are the people who wear tank tops and sundresses with their pale legs and goosebumps. They drag spring in. Much as I do love them, I love more the thought that I have a summer without graduate school classes or art classes.